Did you know that the zodiac signs have associated flora and fauna? If you’re looking to increase the energies of a particular constellation in your home why not use the perfumes associated with the sign to enhance its presence? For instance, if you’re meditating on a Full Moon in Scorpio and really want to go deep then light a red flower candle. Or, if you want to increase health and focus on your daily routine try fragrances that fall under Virgo. Aries rules over all small red flowers, including the red carnation and red roses. The sign of duality Gemini rulers over all double flowers. Perfumes for the Twins? Lilac and old lavender. Cancer has the lotus flower and immortelles under rulership, and its fragrances include jasmine and all the lily perfumes. Leo’s fragrance is Orange Blossom and has rulership over all deep, yellow flowers and golden flowers – sunflowers are particularly Leoline! Virgo rules over all the flowers in the Lily family and the fragrances white rose and heliotrope. 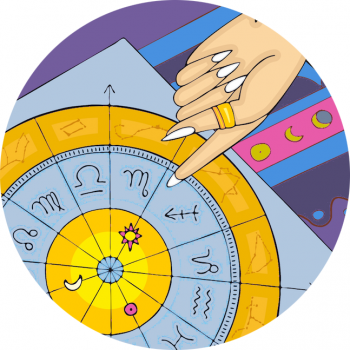 Falling under the Libra zodiac sign, all balms, pansy, violet and primrose and the perfumes rosemary and sandalwood. Scorpio rules Chrysanthemum, and all large red flowers, and all red flower perfumes. Sagittarius has climbing vines under ownership, flowering trees and the perfume violet. Interesting that Sagittarius model (Sun, Jupiter, Neptune and Uranus all in Saggy) Lara Stone was the face of Tom Ford’s fragrance ‘Violet Blonde’s’ ad campaign – and of course you know purple is this sign’s lucky colour! The Capricorn zodiac sign rules over darker shades and also over all black and dark hued flowers – blooming Cereus, the black poppy, nightshade and for fragrances? Black narcissus and the black tulip. Aquarius has ownership over blue and white flowers, the Bird of Paradise flower, plus Acacia, Frankincense and Myrrh. Also the Gardenia fragrance. Neptune ruled Pisces ruler over all sea plants, orchid flowers, ferns and mosses. The fragrance for Pisces is white narcissus.